This Teacher's Bundle contains one copy of Which One Doesn't Belong? A Shapes Book (Student Book) and Which One Doesn't Belong? A Shapes Book (Teacher's Guide). 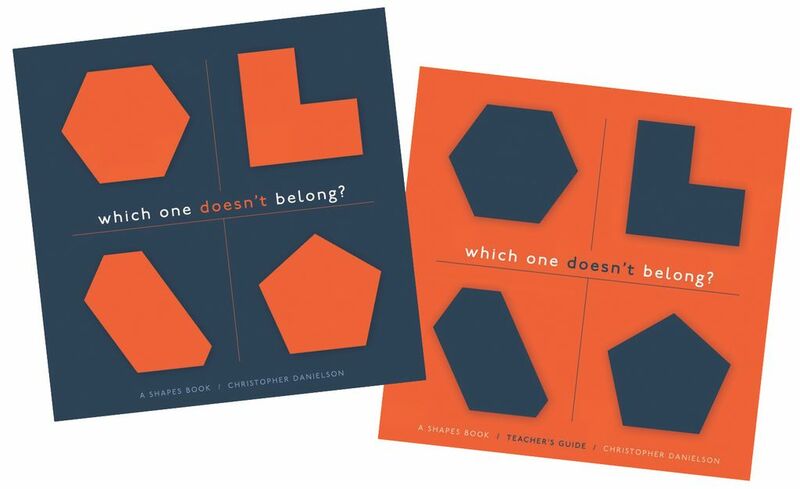 Every colourful page of Christopher Danielson's children's picture book, Which One Doesn't Belong?, contains a thoughtfully designed set of four shapes. 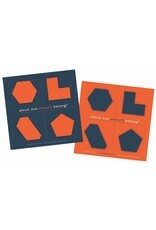 Each of the shapes can be a correct answer to the question "Which one doesn't belong?" Because all their answers are right answers, students naturally shift their focus to justifications and arguments based on the shapes' geometric properties. In the companion Teacher's Guide, Christopher draws from both research and classroom experience to teach you how students' geometric thinking develops. In clear, approachable language, Christopher discusses the mathematical ideas likely to emerge on each page and helps you anticipate and understand student's likely answers. Through classroom stories from different year levels, he models listening to, talking about and delighting in students' ideas about shapes. Finally Christopher gives you all the practical information you'll need to implement Which One Doesn't Belong? as a classroom routine, from how to launch rich discussion to how to create new sets to match your instructional goals. Help you and your students discover the beauty of geometry and mathematics together.